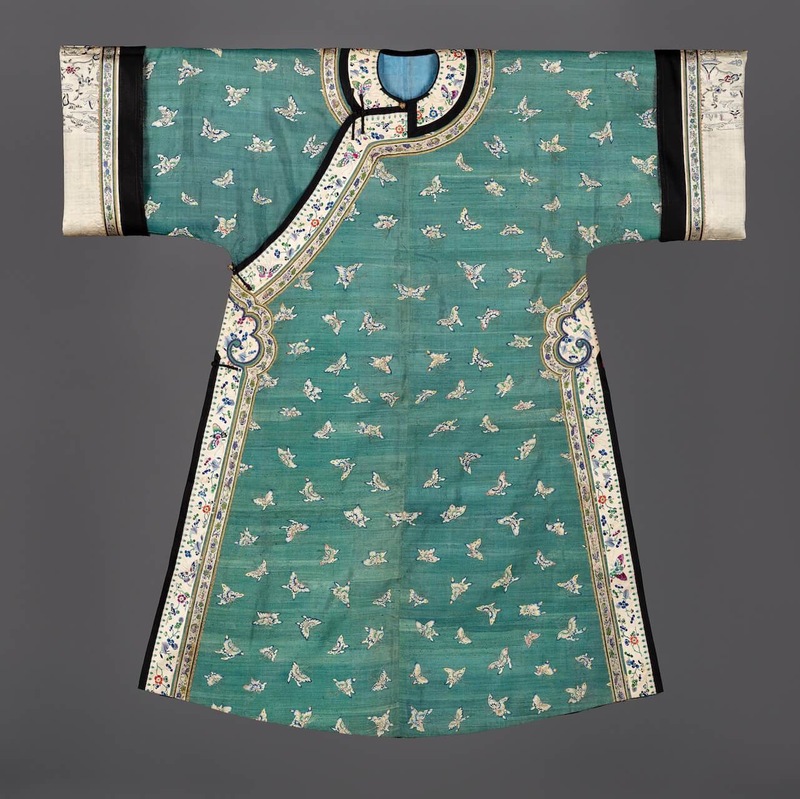 A green silk kesi (tapestry) robe, changyi, open at each side to a ruyi heading. The costume woven with butterflies, their colours tinted with paint and their feelers woven with gold thread. The borders of embroidered butterflies and prunus blossoms; the cream sleeve bands embroidered with figures in landscapes.